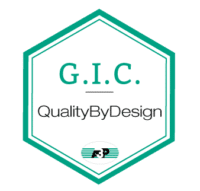 The C.I.G (Common Interest Groups) aim to bring together manufacturers and suppliers (from the pharmaceutical and biotechnology sectors) to share practices and questions. An AXNUMXP CIG must advance the issues presented. The members of the CIG will carry out a collaborative work around the same theme and will return it during an event AXNUMXP or through publications (the magazine La Vague, scientific and technical guide ...). Comments on the draft EMA draft: "Guideline on the quality of water for pharmaceutical use"
This group first of all makes it possible to draw up an inventory of the methods proposed, envisaged, evaluated, adopted and rejected by all the laboratories of the industrialists of the pharmacy with their proven advantages and disadvantages. The ICG will be reactivated at the official release of the regulatory text. 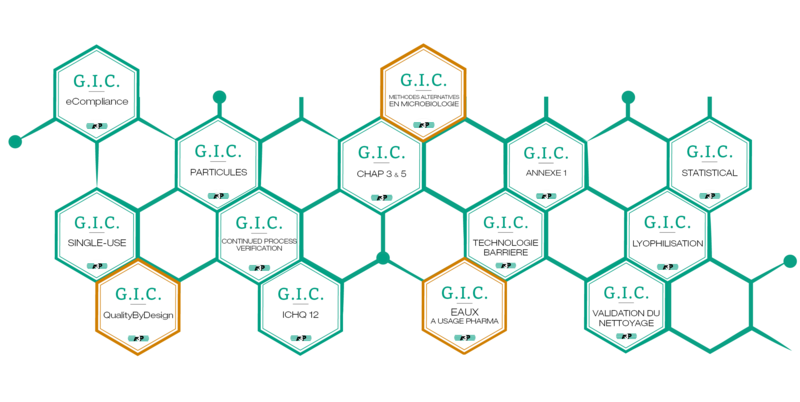 Following the publication of the 20 December 2017 by PIC / S and EMA of the new version of Annex 1, the GIC Annex 1 created in 2015 (as part of the comment submission of "Concept paper on the revision The GIC A1P Appendix 2015, made up of about fifteen industrialists and suppliers, commented on the fact that it was reactivated by the EMA in 3. comments to the EMA in March 1. - Response to the public consultation on "Guidance on the Sterilization of the Medicinal Product, Active Substance, Excipient and Primary Container: EMA / CHMP / CVMP / QWP / BWP / 850374 / 2015"
- Publication of an A3P Scientific and Technical Guide: "Controlling supplier and cross-contamination risks, studies and summary of EU-GMP Part1 Chap. 3 and 5 regulatory changes"
The group has commented on the Guideline "Guidance on 'Reflection Paper on Statistical Literacy for Comparative Assessment of Quality Attributes in Drug Development (EMA / CHMP / 138502 / 2017)"
The group took part in the EMA workshop in May 2018 on "Guidance on 'Reflection Paper on Statistical Methodology for Comparative Assessment of Quality Attributes in Drug Development' (EMA / CHMP / 138502 / 2017)"
This GIC will be complementary to the GIC "CPV Continued Process Verification" and "statistical methodology for the comparative assessment of quality attributes in development"